Posted February 23, 2018 by Shelley Bottomley & filed under news. Performance Management Consultants (PMC) designed five training programs in Nunavut that began in the fall of 2017. 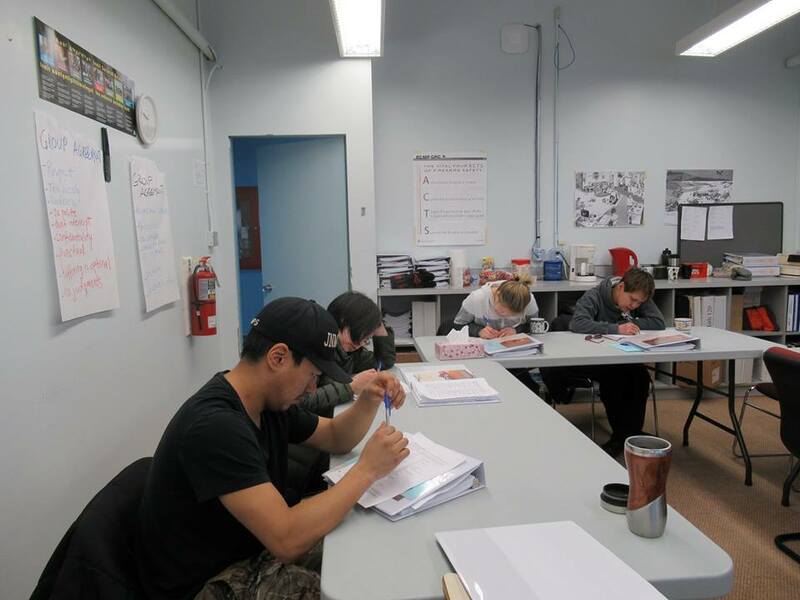 Three programs were for Inuit with disabilities in Baker Lake, Cambridge Bay and Pond Inlet; and two programs were for Inuit youth (18-29) in Arviat and Iqaluit, training a total of 80 participants. All programs have been delivered, except the one in Iqaluit, which continues until March 23, 2018. 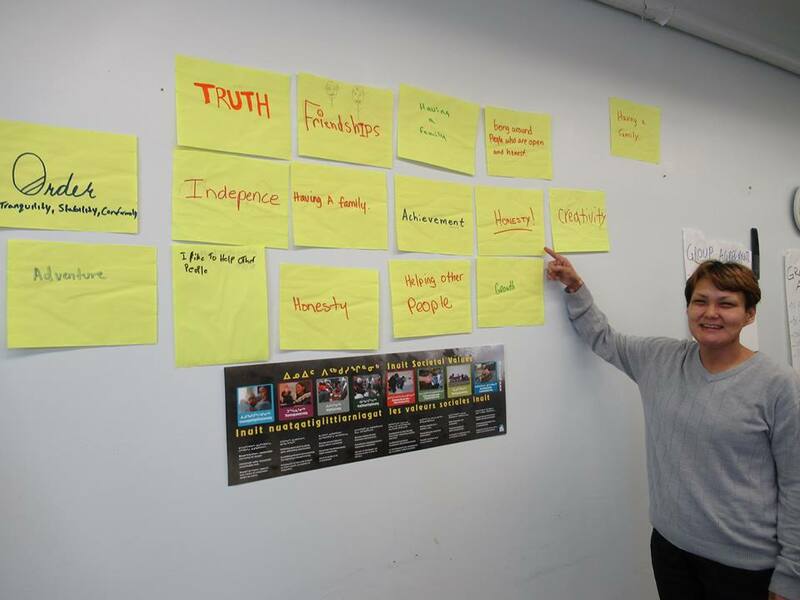 Participants gained self-awareness and confidence by learning about their personal aptitudes, interests and skills, as well as identifying areas for personal growth and development – all in a supportive environment. They learned basic financial literacy skills to help manage money more effectively at home and in the workplace. They learned how to create a budget, set up and use bank accounts (many for the first time), and set financial goals, by breaking down their goals into specific, achievable steps. They also learned some practical tools for saving money. In addition, each cohort was responsible for purchasing their own snacks for the program. They were given a budget and had to work together to take inventory, plan, shop, and prepare the snacks. In addition to completing up-to-date skills-based resumes, cover letters, and references for future employers, participants learned typical employers’ expectations, and reviewed elements of organizational behaviour. In one exercise, participants put themselves in the shoes of the employer to identify what qualities were important in an employee. They practiced their interview skills and came up with stories they could tell during an interview to help set them apart from other applicants. Instructors engaged with employers to help them see the benefits of hiring a local youth or person with barriers to employment. Some employers spoke to participants as guest speakers and through site visits to their workplaces, enabling potential employers and program participants to interact and learn about each other’s needs and what they had to offer. Hundreds of job applications were sent out by participants, many of whom either found employment or are continuing their education. The program covered the basics of entrepreneurship and in particular, introduced the concept of social enterprise. Participants were introduced to the concept of the triple bottom line and and how a social enterprise provides valuable goods and services while addressing social issues and creating jobs. Participants were exposed to examples of social entrepreneurship from several First Nations and Inuit contexts in Canada, in addition to the Abluqta Society, which began as part of PMC’s Pre-Employment Training Pilot Program in Baker Lake in 2016. They then had the opportunity to brainstorm ideas for a social enterprise that would be relevant for their particular community. To further provide youth participants (in Arviat and Iqaluit) with the opportunity to put their learning into action and engage with the community, the course included a “participatory video” module. This approach uses video as an engaging, innovative and hands-on tool for building skills and self-esteem. Participants learned how to use a video camera, including how to take good images, conduct an interview, and use a microphone for good sound quality. The Iqaluit program is still running, so their video is still in production, but we highly recommend watching the completed Arviat Participatory Video. Relevant Inuit cultural activities were incorporated as a way to teach course themes, including a cultural day where participants chose a traditional activity. Some activities included and Elder’s Feast, storytelling, tool- and drum-making, sewing (Kamik, winter gloves or duffle socks), caribou hunting, and ice fishing. Participants were encouraged to take part in the election of their local MLA. They learned the structure of the political process and candidates presented their platforms to each group and answered questions that students had developed themselves. Almost all participants voted in the election, and for many, it was their first time voting. The youth groups (in Arviat and Iqaluit) chose to further advance their newly developed interview skills by recording electoral candidates for possible inclusion in their video documentary. * Specific results for Iqaluit and statistics for all programs will be available in the final program reports in the spring of 2018. Funding for these programs comes from the Government of Nunavut (GN) Department of Family Services (DFS).